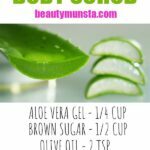 Homemade Hand Salt Scrub for Soft & Smooth Skin - beautymunsta - free natural beauty hacks and more! Got dry peeling hands? Make your own homemade hand scrub with just a few natural ingredients! Hands can take a beating during the winter when the weather is cold and dry. 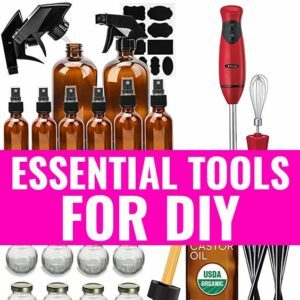 They can also become rough and tough if you do garden work, frequently carry weights and wash clothes/dishes by hand. Using a homemade hand salt scrub, you can get your hands to become as good as new again when used consistently. 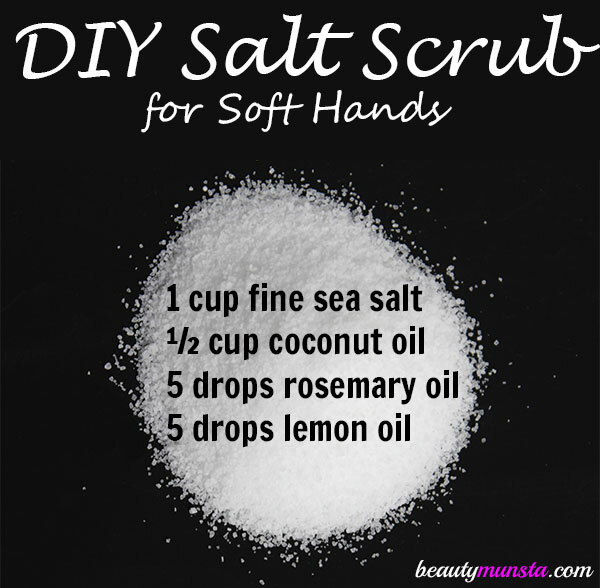 Try this easy homemade hand salt scrub recipe and experience soft and smooth hands! ► Sea salt – It has a slight abrasive texture that exfoliates skin, dissolves dead cells and scrubs off dirt and grime. Salt also destroys germs and bacteria and softens tough skin. ► Coconut oil – The moisturizing ingredient in this salt scrub, coconut oil lubricates dry skin. It leaves skin soft, smooth and supple. 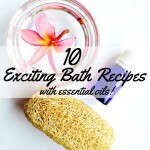 ► Rosemary oil – A fresh and herbal oil, rosemary oil is extracted by steam distillation of rosemary leaves. It has antioxidant properties that protects skin from premature aging. Rosemary oil is also cleansing, antibacterial and gives a nice scent to this salt scrub. ► Lemon oil – Lemon oil is cleansing and refreshing. It deeply purifies skin to remove any stains, dirt and impurities. It also gives this hand salt scrub a citrus scent that has mood uplifting properties! 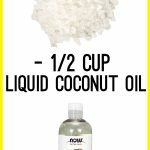 Add the Epsom salts to an glass jar and add the liquid coconut oil. Drop by the essential oils into the jar and stir well with a chopstick or back of long spoon. That’s it! Your homemade hand salt scrub is ready! Store it in a cool dry place and make sure not to get any water into it. 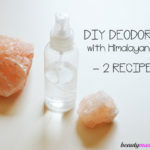 To use, place a little on one palm then rub both palms together gently for 2 minutes. Marvel at how soft and smooth your hands feel! Use anytime your hands need a good scrubbing. Instead of lemon oil, you can use lemon juice. A good substitute for rosemary oil would be dried rosemary leaves which will turn your salt scrub a pleasant green color! 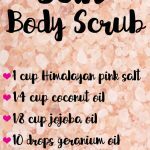 You can also use Epsom salts and regular salt for this salt scrub. Before using essential oils, be sure to apply a patch test on your inner elbow to check if you might be sensitive or allergic to them. Leave the patch test on for 1 – 2 hours if there is irritation, wash the area and do not use essential oils. Pregnant and lactating women should avoid essential oils. Always consult your doctor before using essential oils, especially if you have any health problems.